On Wednesday, October 4, 2017, LL Cool J will be honored at the W.E.B. DuBois Medal Ceremony hosted by the Hutchins Center for African & African American Research at Harvard University. The W. E. B. Du Bois Medal is “Harvard’s highest honor in the field of African and African American Studies.” Since 2000, it has been awarded to “individuals in the United States and across the globe in recognition of contributions to African American culture and the life of the mind. 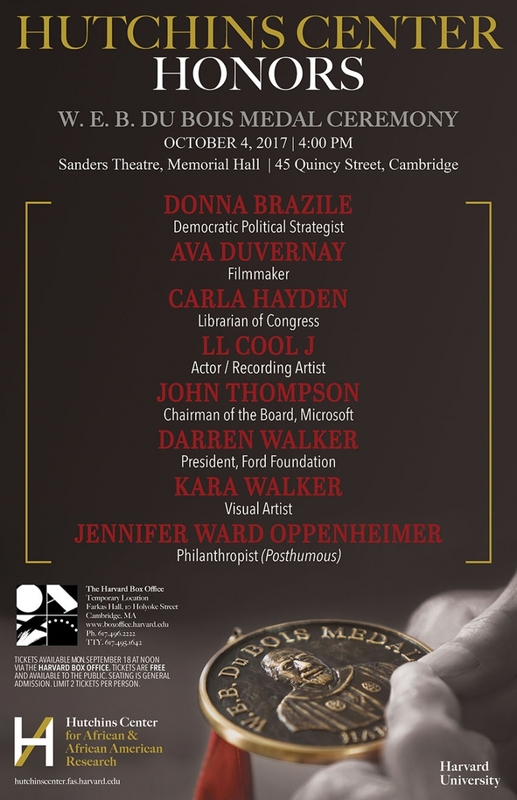 Recipients have included scholars, artists, writers, journalists, philanthropists, and administrators whose work has bolstered the field of African and African American Studies.” LL Cool J will be honored alongside Donna Brazile, Ava DuVernay, Carla Hayden, John Thompson, Darren Walker, Kara Walker, and Jennifer Ward Oppenheimer. Past recipients have included Maya Angelou, Shonda Rhimes, John Lewis, Sonia Sotomayor, Cornel West, Oprah Winfrey, Quincy Jones, Toni Morrison, Muhammad Ali, Nas, MC Lyte, and many more.